Hi there! Still in the middle of November, but I am in the Christmas mood. 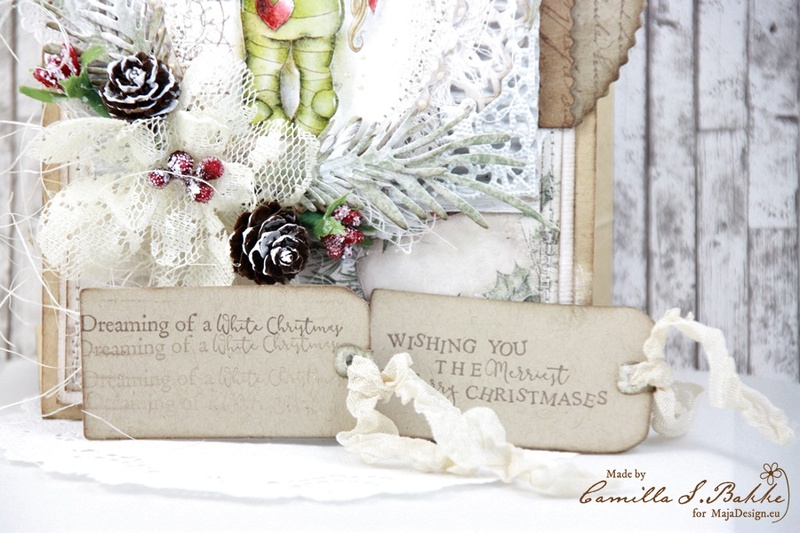 When it comes to cardmaking, that is. 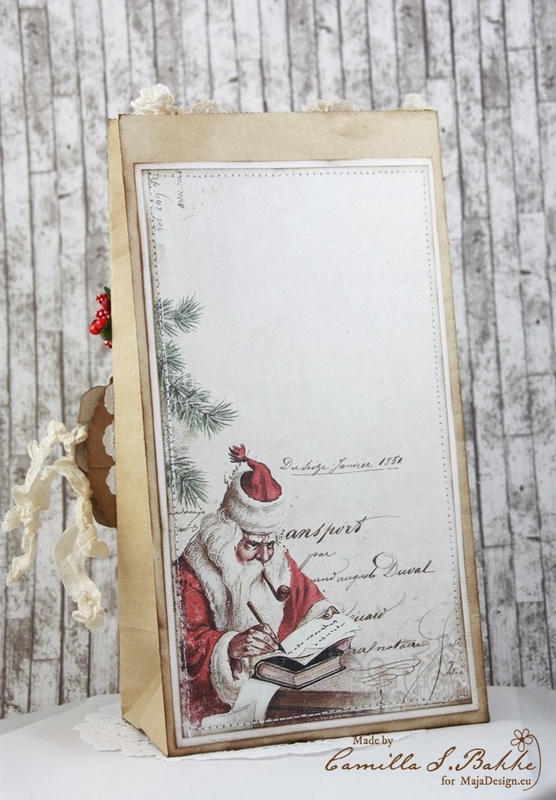 Who could resist with the gorgeous papers from I wish. Today I will show you a giftbag that I have decorated. 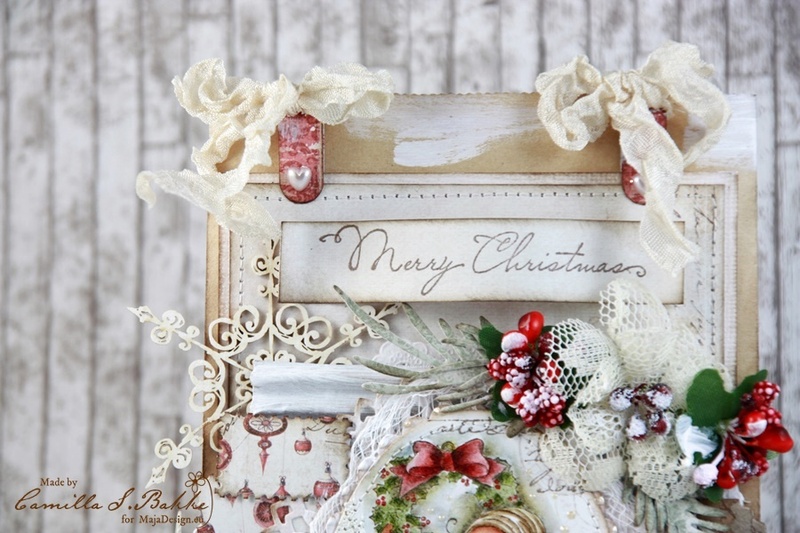 I have coloured the sweet image from Magnolia called Holly Wreath Tilda, with Distress Inks re-inkers, in the same colours as the I wish papers I have used. I love these warm nostalgic colours. The Merry Christmas text is also from Magnolia. The postmark stamps around the image are from Stempelglede. Under you see the back of the bag. The texts on the tags (Magnolia). You get a better view on the different layers on the picture under. Very very beautiful work and sooo romantic too. I made a few of these myself last year to use for some of the christmasgifts, I sent out, and they were a huge hit, that´s for sure. And I know, this one will be too, as it´s really gorgeous and these papers just hit sooo perfect for this. You´ve really hit the top with this one here, absolut stunning.